We work with you to make your finances simple and rewarding so you can take your money further. Tax time can be the most anxious time for an individual or a family. Bosco accounting takes the stress out your tax by helping you with everything from everyday budgeting to getting better returns on your tax. 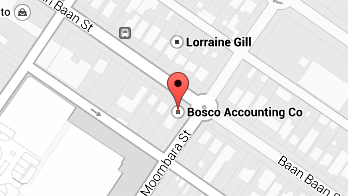 At Bosco we have over forty years of experience making sure our clients get the best tax refund possible. Working with you on your taxes and income, we make sure getting the best refund possible is simple and stress free. Bosco can show you how your income tax affects your finances and helps you to make the best decisions and make the most of your money. We are here to help you understand how the capital gains tax affects your finances. We know how to navigate the complexity of the capital gains tax so that you get the best refund possible. Bosco Accounting offers advice for families, couples or individuals who need a hand with budgeting ideas and solutions. With our expert advice and experience, we can show you how to save more, spend less and make your money go further. We offer advice on how investment property tax can affect your income as well as ways of working out the tax solution that can best compliment your investment and your future. At Bosco we can advise which government benefits scheme is best for you, as well as navigate the more complex parts of the government benefit system for you. Whatever your situation we can help you find the right benefits solution. Bosco can help you understand how entering into a salary package can affect you and your income. We help you understand how the FBT affects you and how you can make your salary work for you. We can help you through the stress of a termination or redundancy and implement plans to make sure you stay financially secure during that time. Bosco can take the stress out of ATO audits and disputes by working with you to reach a solution that won’t damage your financial plans. At Bosco we can help you by managing deceased estates as well as making the process as easy and as quick for you as possible through such a difficult time, as well as making sure the deceased’s wishes are fulfilled. We can work with you to negotiate any ATO payments and work out which method is best for you and your financial security. Bosco Accounting offices can help you set up a my.gov.au account, and we provide a space for you to access the site if you don’t have the means to0. For further questions or just wanting to find out more please locate the nearest branch to you and drop in and have a chat.